Random thoughts from my random mind. Well it’s been a little while since I’ve done a post. I might be a little out of practice… But I had a snow day afternoon on Friday, my order from MFT was on my doorstep, and it seemed like the perfect time to get crafty. So I started with one of my favorite challenges, the Color Throwdown. 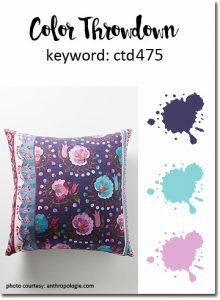 This entry was posted in Cards, Challenges, CTD, Love on January 15, 2018 by purple_place_designs. Such a cute card. 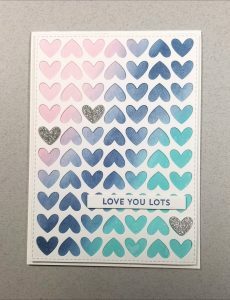 I like how the colors show through the hearts with a little shine!